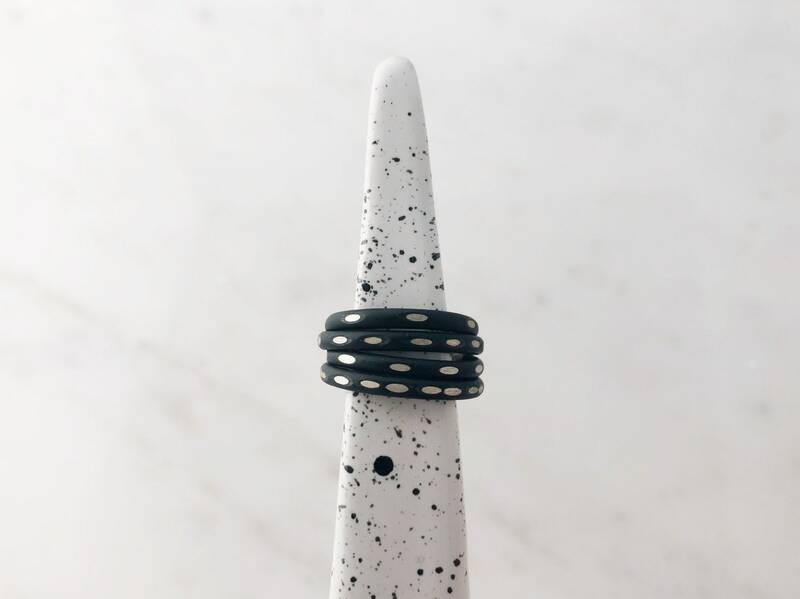 This sterling silver rings are powder coated matte black, leaving a beautiful and super strong finish. They are then sanded in a straight line dot pattern to expose the sterling silver underneath. Band is 2.25mm wide. 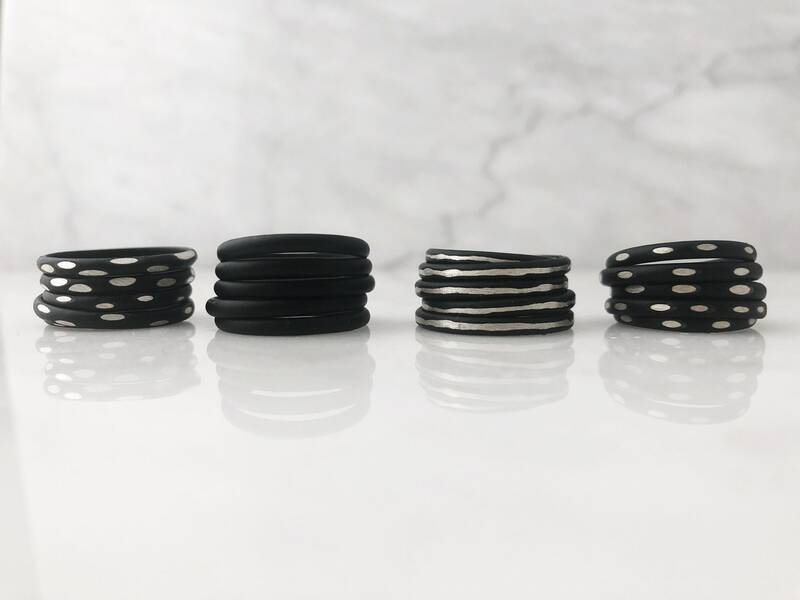 Each ring is handmade with its own dot line pattern.